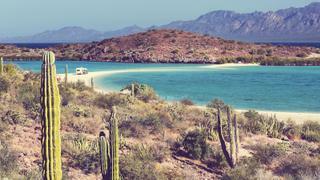 The sunbaked countryside of Baja California. Picture courtesy of Shutterstock.com / Andrea Izzotti. As a child, Matthew Robertson would run away from school in order to explore the forests and find peace in nature. After many years spent travelling the world, he founded Momentum Adventure, a boutique bespoke travel company creating unique experiences for others, from the Arctic to Antarctica and everywhere in between, sharing his extensive knowledge of the globe. In the first of a series of Adventure Guru guides, Robertson explains why Baja California is one of the most extraordinary places on Earth. I’ve been working in the luxury adventure world for more than 30 years and I have been incredibly fortunate to have seen and explored some of the most remote and stunning places on the planet. Over this time I have biked, climbed, hiked, or driven through more than 80 countries. 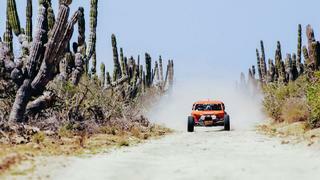 When researching new locations for off-road buggy driving experiences more than ten years ago, I stumbled across Baja California and found it had been described as the “Galapagos of North America” and had an incredible history dating back over 10,000 years. A seed was sown and I jumped on a plane to explore. 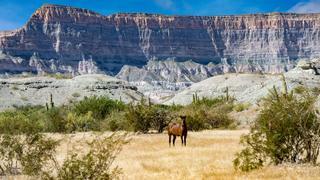 I believe that Baja, which sits almost 1,000 miles due south from the American border, will become a mecca for anyone looking to take a walk on wild side. The peninsula boasts different types of deserts covered by cactus, acacias and succulent plants that spread around the territory at the bottom of 1,800 metre peaks. Additionally, the peninsula has Maldivian style creamy sand beaches, pristine golf courses, and beautiful sleepy villages peppering the landscape. Home to an outstanding array of marine life, areas of the western coastline — specifically the lagoons of Magdalena Bay, San Ignacio and Ojo de Liebre — act as a mating grounds and birthplace for the striking Pacific grey whale throughout February and March. Take a private car or helicopter to the San Ignacio Lagoon for kayaking tours, tide pool walks and whale watching trips and come face-to-face with these extraordinary mammals. This coast also has numerous diving bucket list sites loaded with colourful marine life spanning out beneath the ocean surface. Don’t miss the Rosarito Underwater Park, a subaquatic theme park where divers can explore the military shipwreckUribe 121, sculpture gardens, artificial reefs and even museums. Meanwhile, the east coast of Baja California is the only place in the world where it is possible to experience in the same habitat grey, blue, fin and humpback whales, pelagic sharks, whale sharks, sperm whales, sea lions and orcas. 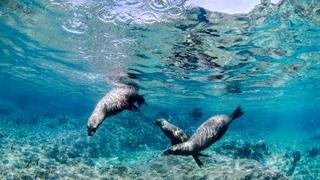 Jacques Cousteau once dubbed the Sea of Cortez, which is said to host around 30 per cent of living species of cetaceans and porpoises, ‘The World’s Aquarium’. 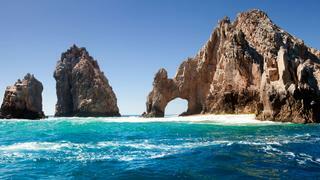 Also known as the Gulf of California, this 1,126km stretch of smooth water provides excellent diving grounds. A brilliant spot for swimming with sharks, the area is known for hammerhead and whale sharks, in addition to manta rays, sea lions, jacks, baitballs, dolphins and eels. 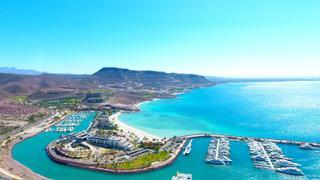 Baja California offers a huge array of once-in-a-lifetime adventure activities. Blasting through cactus forests, deserts and remote beaches in 4x4 dune buggies is particularly exhilarating, while water babies should head to Costa Azul to enjoy the world class surfing or kayaking out to the famous Los Cabos Arch. To truly immerse yourself in the surrounding nature, take to the treetops of the UNESCO World Heritage site Boca de Sierra National Park on a guided high-octane canopy expedition. Fly through the forest on a series of double zip wires over forest and canyons, spotting the native wildlife as you go. Alternatively, take to the skies with a heli-tour of the Guadalupe Valley with a welcome stop off for some wine tasting. Superyachts are starting to trickle into this remote part of Mexico, with yachts such as 78.2 metre Venus, 78.4 metre M5 (formerly known as Mirabella V) and 86 metre Seven Seas have been spotted moored in La Paz’ Costa Baja Marina. Baja California is the perfect spot for anyone looking for a hair-raising experience while immersed in an untouched natural sanctuary. I fell in love with this spot because of its value and authenticity. Beautiful and rugged, this would not be your average superyacht vacation.